Pigment Yellow PY155 is a greenish yellow with high tinting strength and good solvent resistance. 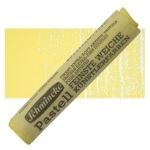 It is often used as a replacement for chromium yellow. Pigment Yellow PY155 has very good lightfastness, but some monoazo yellows have better weatherfastness. It may not be suitable for exterior applications. Grades with coarser particles have been reported to have much better weatherfastness. Bisacetoacetarylide pigments are a subgroup of the disazo pigments. Although many have been described and patented, only a few are commercially available. Pigment Yellow PY155 is used in paints, plastics, printing inks, and industrial coatings.